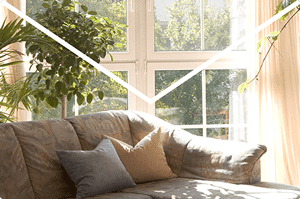 Aluminium windows and doors | SALAMANDER-KOYCHEVI Ltd.
A light sliding system. Its main characteristics are the good geometric shapes and the completeness which guarantee a superior aesthetic outcome. It is used with windows, doors, window displays, internal partition walls, etc. Guide width: 39 – 69 mm. Possible infill: single glass sheets and glass packets. 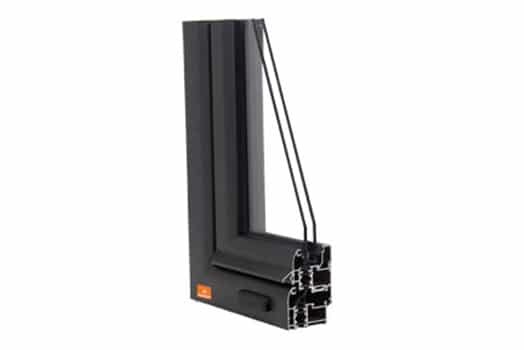 A light system for turn and turn tilt windows, doors, window displays, interior structures. Frame width: 40 – 69 mm. Wall width: 1.3 – 1.5 mm. Take on double glasses: 4 – 28 mm. 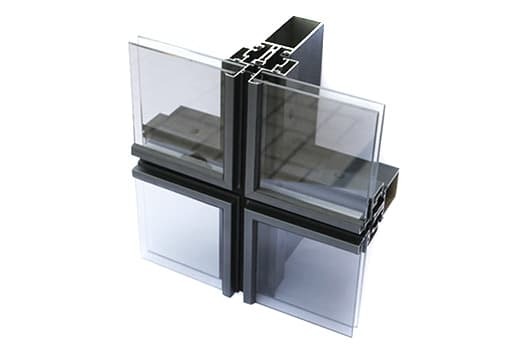 A glass packet system for the external covering of buildings. It has been designed as three basic types: Standard, Semi-structural, and Structural. Column width: a 50 mm traverse. Column height: 95 – 160 mm. Wall thickness: 2 – 2.2 mm. Glass packets: 10 – 32 mm. 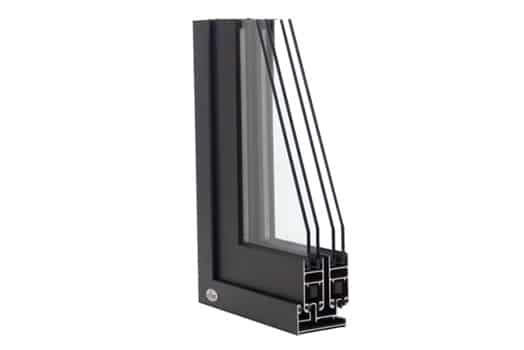 For turn and turn tilt windows, doors, internal partition walls, balconies. The easy joining of the individual elements and the flawless aesthetic appearance guarantee their quality and modern design. Frame width: 45 – 100 mm. Wing width: 45 – 52 mm. Wall thickness: 1.3 – 1.5 mm. Glass packets: 4 – 33 mm. 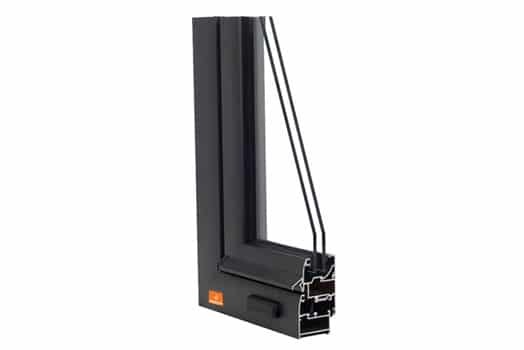 The PR 55 system has a thermal bridge made of 16 mm polyamide and belongs to the “2.2” heat transfer class. 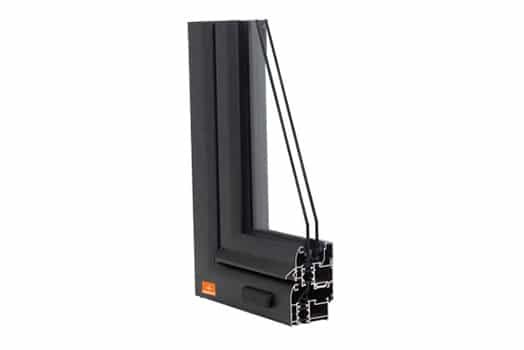 It is used for windows, doors, window displays, etc. Column width: 50 mm traverse. Wing width: 47 – 55 mm. Glass packets: 15 – 39 mm. The PR 63 system has thermal insulation of 24 mm and belongs to the “2.1” heat transfer class. It is used for windows, doors, window displays, etc. Absolute protection from cold and hot temperatures, and from noise. It creates ideal conditions inside the premise. Frame width: 55 – 108 mm. Wing width: 55 – 63 mm. Glass packets: 23 – 47 mm.